I was sad to hear this morning about the passing of Maurice Sendak, the author of the great children’s book (or adult children) ‘Where The Wild Things Are’. A story spanning generations I grew up with this book ~20 years after it was written, and those a little younger may have seen the 2009 feature film based on the book. I recall when young going to a stage show of it even. If you have never read the book I encourage you to do so. Also, a simple Wikipedia will give some fascinating background info on the story. Sendak’s passing influenced me to post up this image I took in 2011, in Sydney Australia. 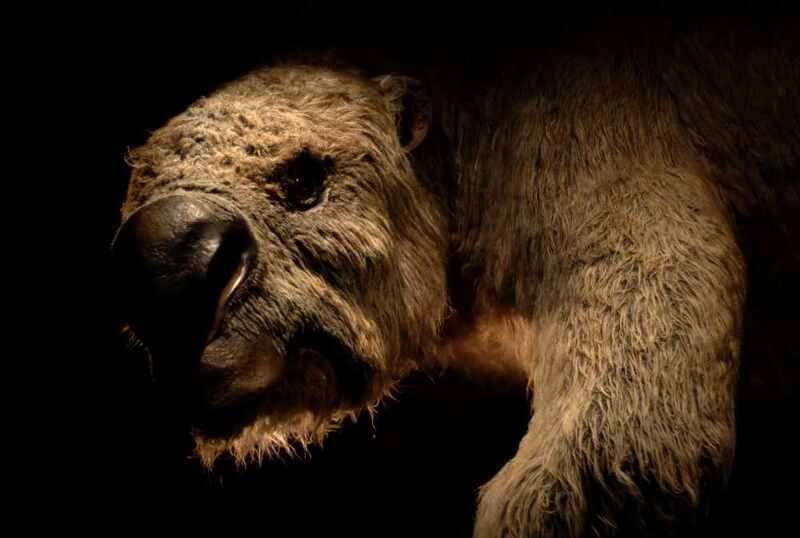 I cant recall the name of this beast, but its a now extinct mammal, about the size of a small hippo. Taken on my Sony A230, 50mm 1.7 lens, took advantage of the selective low lighting to isolate ‘the wild thing’.